Whether you’re planning a vacation, a business trip, or need a holdover while your own car is in the auto shop, a car rental is an expense that can quickly add up. But there are plenty of hacks you can take advantage of to keep the bill down. So before you book the first rental car offer you see online, take the time to explore your savings options. You might just be surprised at the amount of money you keep in your wallet. Just like other travel industries, most rental car companies have a rewards program. They’re typically free to sign up for and you can enjoy extra perks like bypassing the line and getting free upgrades. That last one alone can save you some money if you have specific requirements for the kind of car you need. And if you have any type of side hustle or small business and are registered as a sole proprietor, many companies offer a separate (and often better) rewards program for businesses. In fact, you can benefit from as much as 25% off just by taking advantage of this opportunity. Compare offers to determine which is the best when you’re considering rental cars. You search for coupon codes for every other online purchase you make, so why should car rentals be any different? You’re likely to find a wide range of deals available, like $25 off your total rental amount, or a free day if you book at least seven days. Rental car companies also frequently offer weekend deals, making it an easy and affordable way to explore new places within driving distance. This is another place where it’s smart to compare multiple options. Depending on your needs, one company may offer a deal that works better for you. Plus, they’re always changing so make sure the dates on your coupon code correspond to when you’ll be ready to make a reservation. Online deal aggregator websites, like Kayak and Expedia, don’t just help you compare rates for air travel and hotels. Most of them also incorporate car rentals as well. This is also an extremely easy way to toggle between search functions so that you can quickly change your filters to find the best savings. So if you’re flexible with your travel dates, you can set different calendar parameters and figure out which dates are cheaper for which specific car rental companies. Plus, if you make a refundable reservation, you can keep scouring these sites for better deals and make the change. It’s efficient and cost-effective — what’s better than that? You’re probably familiar with the most popular car rental companies like Alamo, Avis, Budget, Enterprise, Hertz, National, and Thrifty. But there are actually many other options you can choose from and often at a lower price tag. Just how much can you save with a discount rental company? Oftentimes, you can save at least $5 per day and sometimes even more. This may not sound like a huge discount, but take a moment to think about it. Saving $5 on a seven-day trip keeps an extra $35 in your pocket. Depending on where you’re headed, that could easily translate into a nice dinner out with a drink or two. Getting a refundable car rental reservation does come with some perks, mainly the ability to cancel it for free if you see a better deal or end up changing your travel plans. But prepaying also comes with a pretty major perk, so check it out before making up your mind. What’s the benefit of prepaying for car rentals? In most cases, you can see some major savings in your overall rate. In fact, you could see a discount of as much as 20%. That’s definitely worth considering. The downside, of course, is that prepaid car rentals are usually non-refundable. If you find a better deal or need to cancel your trip, you’ll have few options — if any — for getting your money back. 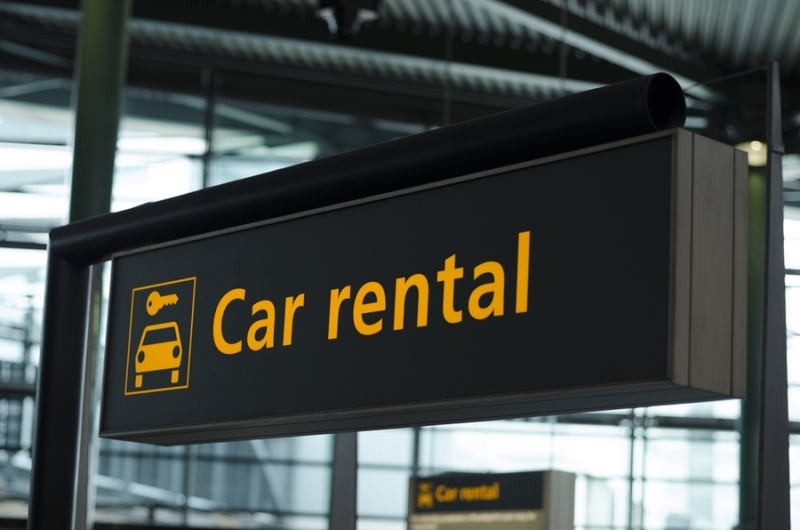 Getting off the plane and immediately heading to the car rental counter may be convenient, but it comes with a price. 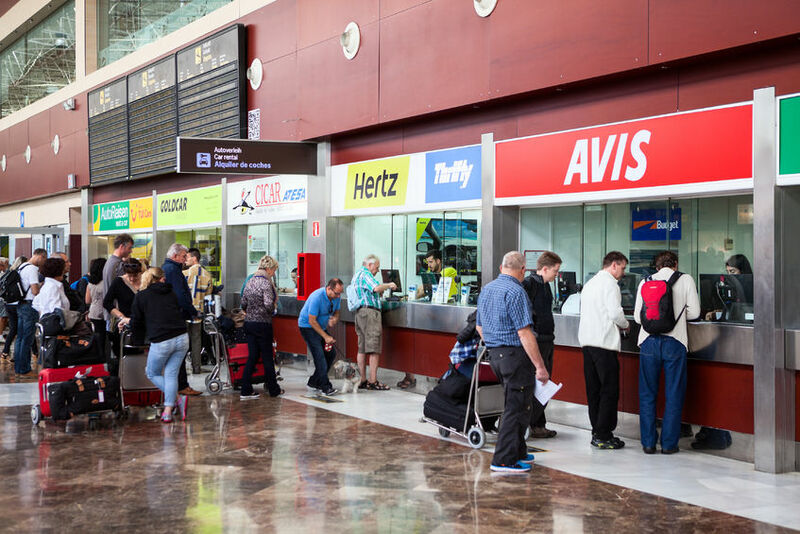 You could potentially pay between 10% and 30% more for car rentals that originate at the airport. Avoid this surcharge by taking a cab or public transportation to another nearby car rental location. You may even be able to secure a cheaper rental through your hotel. Get creative and compare your pickup location options if the airport location looks too expensive. When traveling with friends or extended family, be wary of the extra daily fee for additional drivers. Otherwise, you could end up paying as much as $13 more for each day of your rental. On a one-week rental, that would add a whopping $91 to your total bill. Obviously, you can designate a single driver for the trip. But there are usually a couple of other ways you can avoid this extra fee. Oftentimes, the rental car company will waive it for spouses or domestic partners, as long as the addresses on your driver’s licenses match. Loyalty program members can also usually get the fee waived for immediate family members, as can co-workers who book with a corporate account. Don’t forget to see if any of your existing travel rewards programs overlap with a car rental company. This could be in the form of a travel rewards credit card or a partnering brand. For example, United Airlines’ Mileage Plus program lets you accumulate extra miles when you rent a car through Hertz. Other perks you could potentially take advantage of? Free insurance and waived fees. This might not be the case with every single travel card, but it’s worth exploring before you make your reservation. Even if you don’t have a travel rewards card, chances are you already have something in your wallet that can get you out of the loss damage waiver and personal effects coverage. Although these insurance programs protect you in the case of an accident or other damage, they can definitely cause your cost to creep up. In fact, rental car insurance can add on between $20 and $40 per day. That’s a lot! Here’s how to avoid those extra fees. First, check with any of your credit card companies. Usually, they offer free insurance. Your existing car insurance may also extend to rental cars, so call and check with them, too. If you ‘re an AAA member, you can also likely get free rental car insurance. In most instances, there’s hardly any reason to pay for those extra fees. You may not have known it, but you can actually rent both a GPS and a toll transponder from the rental car company. Unfortunately, both come with high daily fees. Since you probably have Google Maps or something similar on your smartphone, save yourself $15 a day and skip the GPS rental. A transponder can cost as much as $25 per day depending on what state you’re driving in. If you’re in a toll-heavy area, consider picking up a one-time use EZ Pass at a local convenient store. The one-time cost will run you about $25, which is close to the rental car company’s daily rate, regardless of how much you use it. This is definitely a hack to get the cheapest car rental and you definitely need to check the fine print to make sure things work in your favor. Ready to learn a smart trick? Get a lower rate by making a week-long reservation, even if you only need the car for a few days. It’s especially helpful if you add on a weekend day since those typically offer lower rates. With many rental car companies, you can then simply return the car early and enjoy a pro-rated refund. Just make sure you have a refundable reservation and that there aren’t any extra fees associated with an early return. Some of the heavy hitters, like Hertz, do make you pay more for this service. This may sound like common sense, but it’s a good thing to remember when trying to save money on car rentals. Give an honest assessment of your trip, how much room you’ll need, and how many people will be joining you. In many cases, you may be able to get by with an economy class car, which can save you a ton on the overall cost of your trip. Make up your mind before you get to the rental counter because chances are that the agent may try to upsell you while you finalize your reservation. You’re much better off using one of our tips for a free upgrade than paying for one you don’t need. Pack light and save more! Depending on where you’re traveling, you may not even need a rental car. Weigh the final cost with other options you have available, especially if you’re sticking to an urban area. You could take advantage of a service like Zipcar or Enterprise Carshare and just rent by the hour as you need a ride. Alternatively, you could likely save by simply using Uber or Lyft if you just need a few short rides throughout the city. A couple of $10 trips a day may end up costing less than a daily car rental, plus you don’t have to worry about parking fees or moving the vehicle when there’s a time limit. There are plenty of ways to save money when you need to rent a car. Even implementing just a few of these ideas can result in more cash staying in your pocket. After all, a little forethought can go a long way when it comes to getting the cheapest car rental.